We went to the wrong chuffing place. After seemingly duff info, we ended up in Bank Top's 'Tap Room'. Every head in the building turned... clearly they didn't do food, yet for some unknown reason, I asked anyway. Awkward. Luckily, the barmaid was a cheery type, who chose not to scald us for our ignorance, and pointed us in the direction of the Brewhouse. Crisis averted and red faces soothed, we arrived at our intended destination. Also attributed to a local brewery, the Brewhouse is a pretty stone building at the Egerton end of Blackburn Road in Bolton. Although it was sunny outside, there was a definite nip in the air, and my cardigan wasn't really up to the task. Cue roaring fires... First impressions were good. 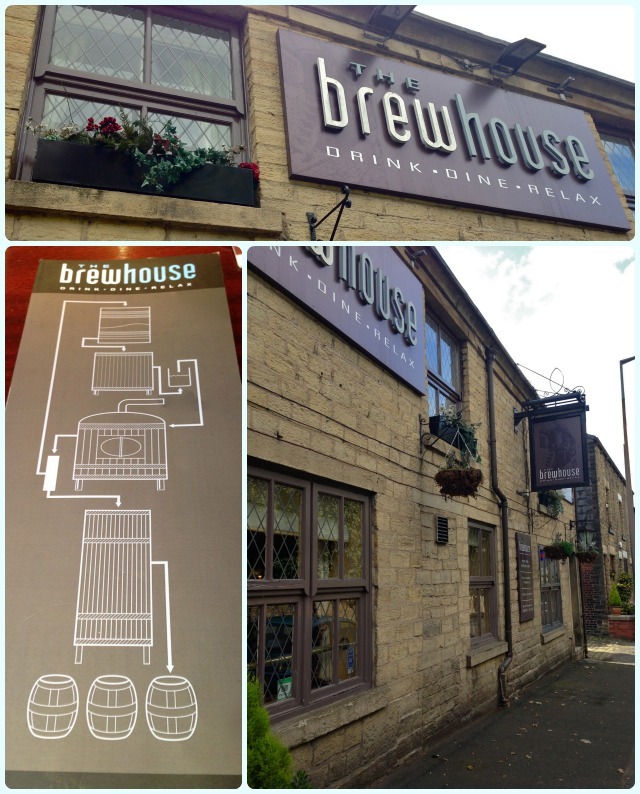 I had made the trip with my mum and dad whilst my husband was off gallivanting on some sort of beer mission in Huddersfield, yet there I was, in a restaurant with its own on site brewery! This can be seen though a large window in the main dining room, and is the theme for the menus. Their own brand of beer is Dunscar Bridge, but there were other local brews on tap too. To my utter horror my dad ordered a Carling! That was quickly rectified, and but seconds later he found himself supping a Dunscar Bridge IPA. The menu is exactly what you would expect from somewhere with a brewery in the back; pies, grills and a decent burger to boot. 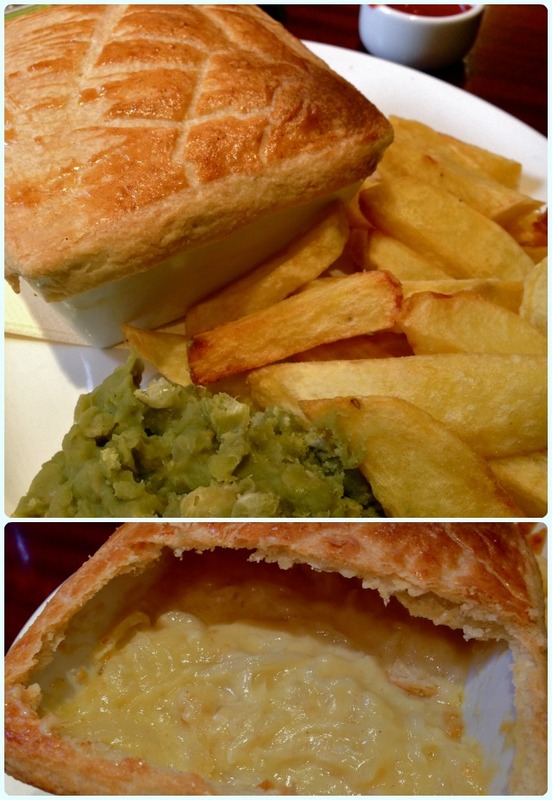 Cheese and onion pie, crushed peas and chips: This is a pot pie with a top crust, so is ideal for anyone who isn't a huge fan of pastry. I have to admit, I was a little disappointed when I saw it wasn't of the 'plate pie' variety, but was soon won over by the wonderful cheese and onion filling. Perfect with a crispy chip dipped in it... I'm looking at you my veggie friends... This is a belter of a pie. 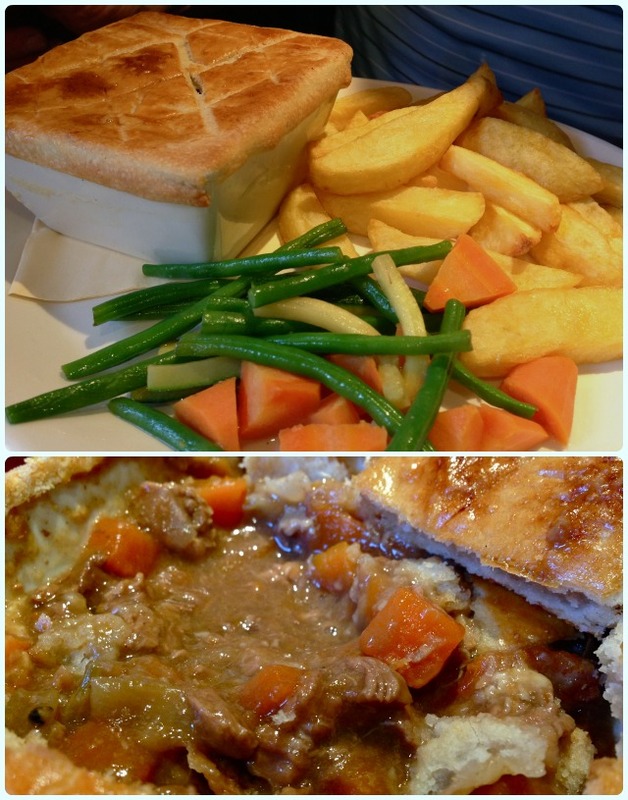 Steak and Dunscar Bridge ale pie, seasonal vegetables and chips: Also served in a tidy white pot, this pie is all about the flavour. There's a rich meatiness from the steak, but also a lovely warmth from the ale. 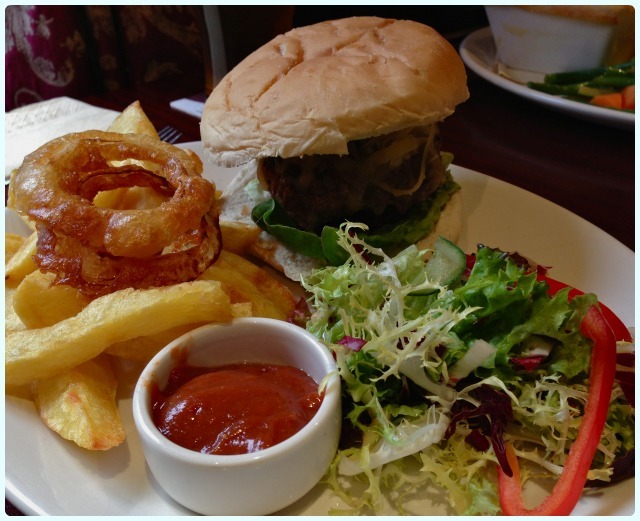 Chargrilled steak burger, hand cut chips, Lancashire cheese, onion rings and homemade ketchup: I was a little bit jealous, but I always go for burgers and fancied a change. This was a tall meaty patty served with melted Lancashire cheese. The homemade ketchup was a nice touch too. 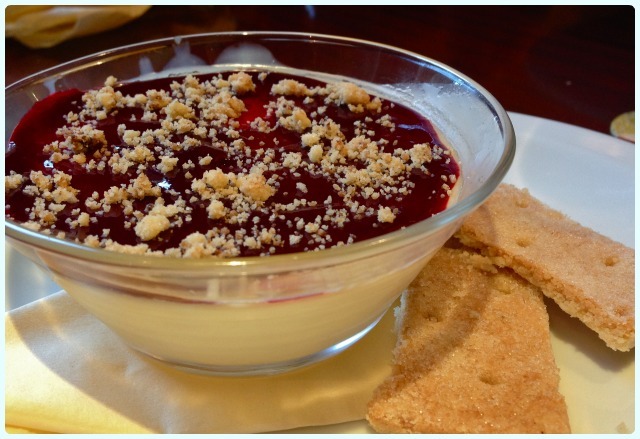 Lemon posset, fresh raspberries, shortbread: A thick, creamy, lemon posset served with home made shortbreads. Taste and texture absolutely nailed. 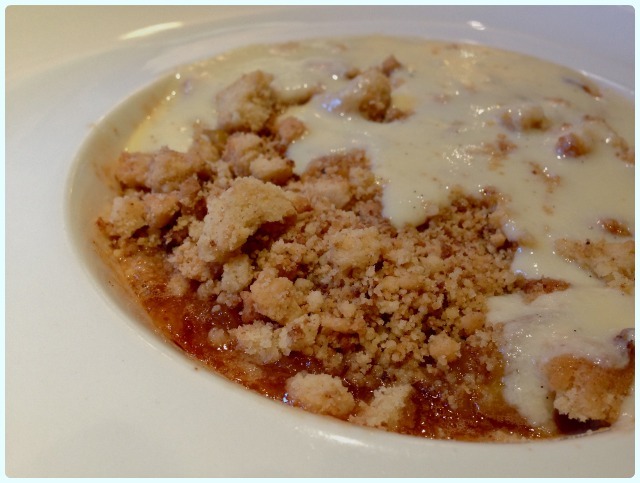 Peach and cinnamon crumble with custard: Crumble of the day... my heart always sinks when I ask what it is, only to be told apple. Boring. I could have jumped for joy when I was told it was peach and cinnamon! What a combination. This is one of my favourite desserts so far this year. Absolutely stunning. Large chunks of soft peach bubbling in thick syrupy juices, topped with sweet crumble and served with home made vanilla custard. Heaven. I'm keeping an eye on Lee Brown. 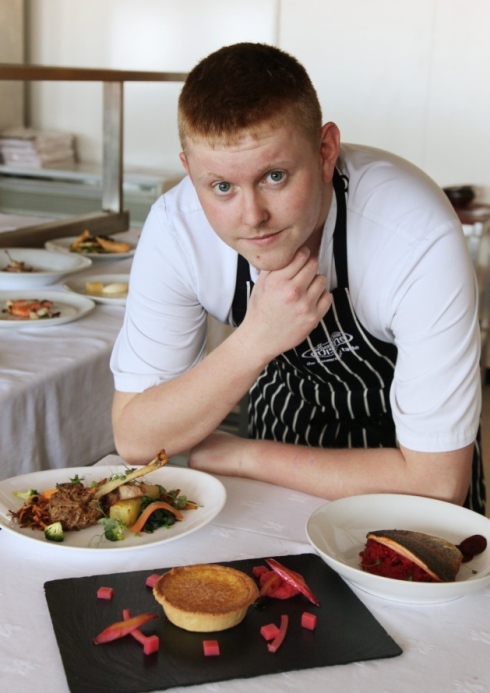 Not only has he secured the position of Head Chef at the Brewhouse, but he's also won Lancashire Young Chef of the Year 2013. He wowed the judges with his free range duck egg custard tart served with textures of rhubarb, poached, puree and jelly. I would have destroyed this dessert! He's just 21 years of age, and if you follow his Twitter account (@HeadChefLee), you'll see that he's incredibly passionate about his work. Recent tweets include talk of growing his own vegetables and even constructing a smoker... He's a man with a plan and I am absolutely certain we haven't seen the best from this chap yet. 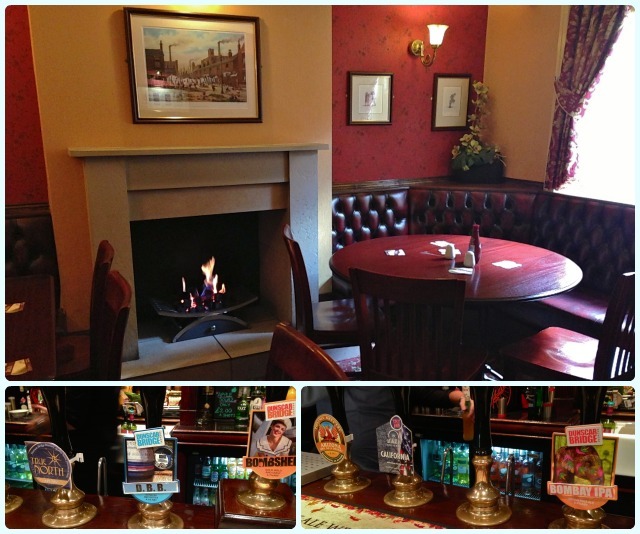 The Brewhouse is the ideal way to spend a lazy afternoon; sat by the fires, supping a pint or two and enjoying some hearty food. Although Lee has kept the necessary homely feel to his cooking, there is a refined edge which will be appreciated by those who deem themselves 'foodies', yet cleverly won't put off folk like my dad. We'll definitely be making a return trip to the Brewhouse. Oh wow the Peach & Cinnamon Crumbles looks absolutely amazing. Such a fantastic combination!